Provide platform to induct a sound culture of innovative multi-disciplinary research in the institute where the researchers get a scope to establish their immense potential and demonstrate their capability in hosting state-of-the-art high-end technical, industrial and social research. 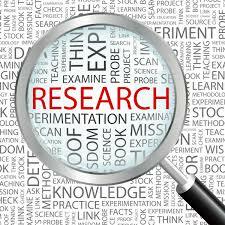 To establish Trident Research as a renowned institute and a trusted name in the field of high-end technical research. Present engineering curricula prescribed by many universities including BPUT offers ample of scope to incorporate course supplementation in order to address the need for solution driven social research which is highly essential to give shape to vital national projects, like our Honourable Prime Minister Sri Narendra Modi’s flagship projects – Smart Cities, Skill India, Digital India, Startup India, Make In India, etc. Such dream projects crucial in the path of growth and success of our country will come true if the students and faculties in the technical institutions are empowered with appropriate knowledge and show inclinations towards research and innovations. Therefore, it is of paramount importance for the faculties of engineering institutions to dive into the research areas of versatile science and technology application domain. • Focus on capacity building to meet global challenges of societal as well as industrial need where we can achieve greatest impact and excellence and achieve clear leadership position in promising new and growing areas of engineering research.